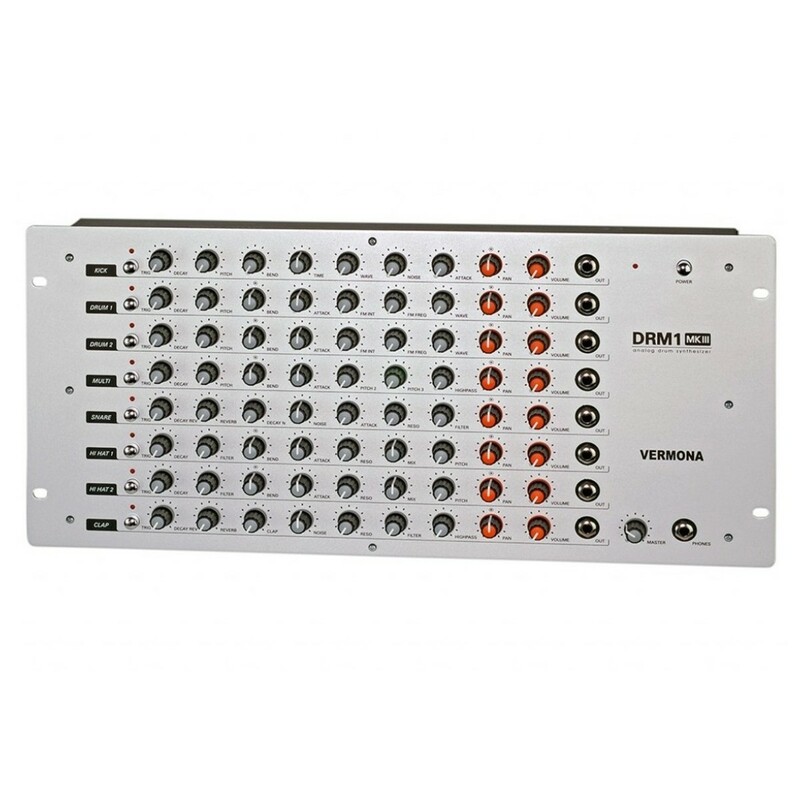 The Vermona DRM1 MKIII is a compact, analog drum machine featuring eight instruments in total, that generate individual sounds. 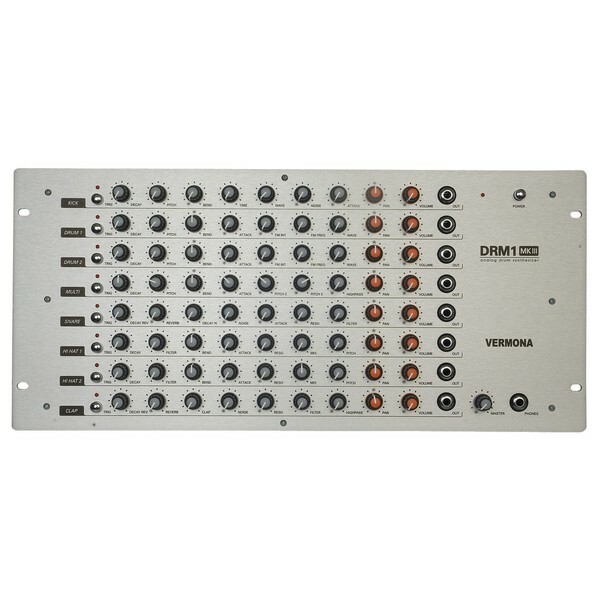 The Vermona DRM1 includes a comprehensive range of controls that give you complete control over your sounds. The eight perfectly matched analog drum and percussion instruments are inspired by vintage analog drum machines, with a total of 73 parameters, for in-depth control. The versatile functionality makes it ideal for both studio and live use. The robust yet compact design includes MIDI connectivity allowing you to trigger sounds via the MIDI connection. The Vermona DRM1 MKIII’s designed is inspired by vintage drum machines from the late 80s, updated with a modern sheen. 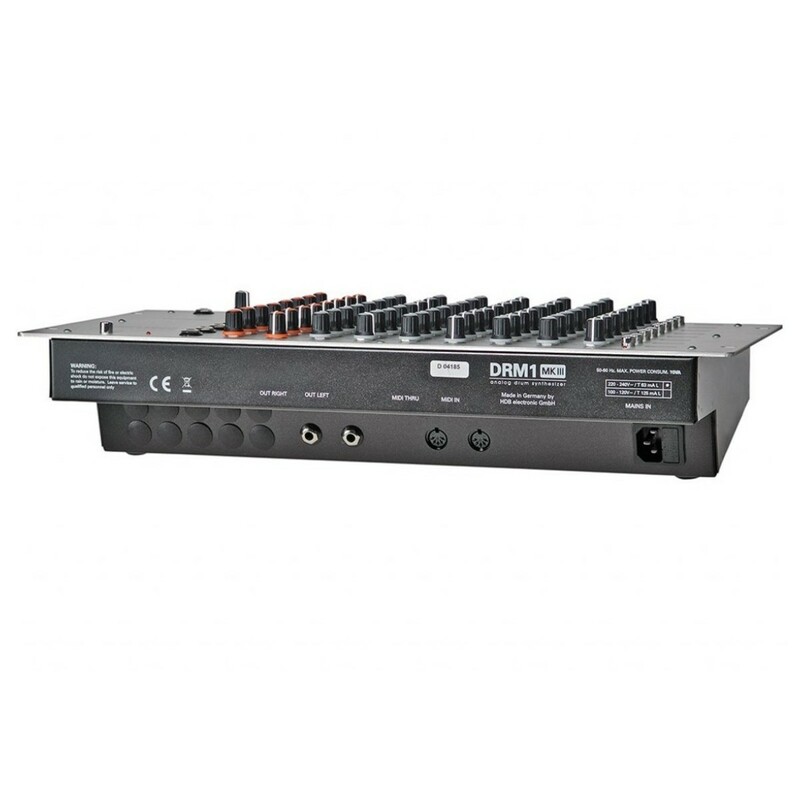 In total, the DRM1 MKIII features eight instruments that generate sound individually. The carefully selected instruments feature generous ranges and allow you to create unique sounds. The versatile sound engine means you can delve into your creativity and get inspired. The drum sounds are inspired by analog drum classics, with its in-depth controls allowing you to create unique sounds with ease. In addition to the eight instruments, the Vermona DRM1 MKIII includes a wide range of controls, allowing you to access every nuance of your sound. The carefully selected sounds feature generous ranges, allowing you to create unique sounds on the fly. The straight-forward layout places everything at your fingertips, with a total of 73 controls you can truly create the sound you desire. The controls include: Decay, Reverb, Bend, Attack, Noise, Resonance, Filter, High Pass, Pitch, Wave, Pan and Volume controls. 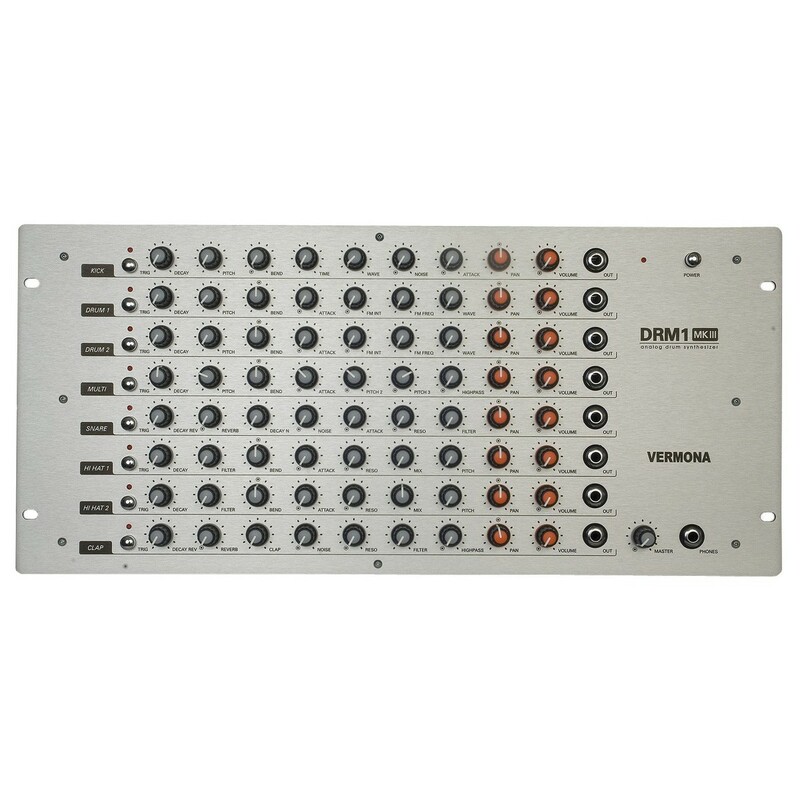 The compact yet highly robust design, makes the Vermona DR1 ideal for both live and studio applications. Its portable size makes it easy to transport and the heavy-duty all-metal chassis means its built like a tank. It also features ears on either side so you can mount the drum machine within a studio or live rack for added versatility. The ergonomic layout features dedicated controls labelled for each instrument. The top panel also includes a master volume control, headphone output and 1/4-inch outputs on each instrument.